Ellen DeGeneres can always be counted on to generate some activity in the residential real estate market. 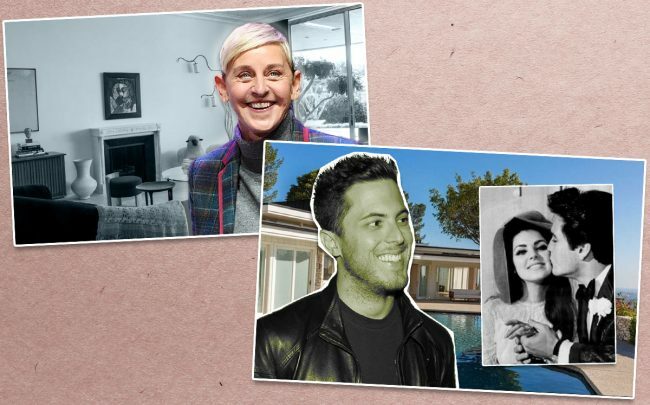 The talk show host put one of her many properties on the market this week, and other celebs made purchases in Trousdale Estates and La Quinta. Serial home-flipper Ellen DeGeneres listed her mansion in Beverly Hills for nearly $18 million. That’s roughly $3 million more than what she and her wife, Portia De Rossi, paid for it in September. The home spans 5,100 square feet, and was once owned by the late actress Marjorie Lord. Built in 1962 by noted architect John Elgin Woolf, the Hollywood Regency-style residence was renovated by Marmol Radziner in 2016. It features five bedrooms, as well as a swimming pool and spa. Also in Beverly Hills, a Chinese entertainment executive listed his 8,000-square-foot house for $32 million. Dubbed the “Upside Down” house for its design, the 3.5-acre property on Oak Pass Road includes a 2,400 square-foot guesthouse with two bedrooms, and a 75-foot infinity pool. It’s built around more than 100 protected oak trees that frame the house. The seller is James Wang, co-founder of Huayi Brothers Media. Harry Morton, son of Hard Rock Cafe co-founder Peter Morton, paid $25 million to acquire the former home of Elvis Presley. The seller was an Egyptian billionaire, Hamed El Chiaty, who had listed the home at $30 million. Morton’s father also holds the record for the priciest residential sale in L.A. County. Located in the elite Trousdale Estates, the recently renovated — but modest-sized — home includes four bedrooms and five bathrooms. Presley and his wife, Priscilla, purchased the home after marrying in 1967. In La Quinta, Nike co-founder Phil Knight sold his open lot for $2 million, taking a slight loss on the deal. The billionaire had purchased the flat acre in the gated Madison Club community for $2.5 million about a decade ago, and listed it for that same amount in October. The property sits in a 500-acre community, which features views of the surrounding mountains. Kris and Kylie Jenner also own homes in the neighborhood.